It took Hefter 17 hands to beat the French player, Gilbert Diaz, in the heads-up match that followed more than fourteen hours of play today. In the second hand of the heads-up match, Hefter almost took out Diaz in a preflop all-in hand where he shoved from the button and got called by Diaz with . The board came and Diaz was left with only 700,000 while Hefter was up to 8,000,000. Three hands later, Hefter got called all-in by Diaz, who had . Hefter was holding and the board came , so Diaz was able to get back to 2,000,0000. Five hands after that, both players get it in again and the board comes . Diaz was holding . Hefter had for another split pot at this final table. The very next hand, Hefter shoved with and got called by Diaz's and Diaz managed to double through Hefter to get back to almost 3,000,000 on a -board. Hefter was still in the lead with 5,700,000 in front of him. Three more hands went by before Hefter raised 420,000 from the button to get called by Diaz and to see a -flop. Diaz checked and shoved after Hefter bet 500,000. Hefter makes the call with and found out Diaz had flopped a set of Deuces with . There was no additional drama on the turn and river that came and . At that point, Diaz had come back from 700,000 to 4,700,000 taking back the lead against Hfter who still had 4,000,000 in front of him. After that hand, the blinds went up to 100,000/200,000 - 30,000 and all the chips went in during the first hand of the level: a raise to 675,000 by Diaz on the button, and an all-in by Hefter that got called by Diaz with . Hefter was in a bad spot with his . The flop did not look good with but the turn twisted things around with the before the river bricked bringing the . Hefter was now back in the lead with a 6,000,000 to 2,700,000 advantage. For the last hand of the tournament, Hefter pushed his stack with and got a call by Diaz with . 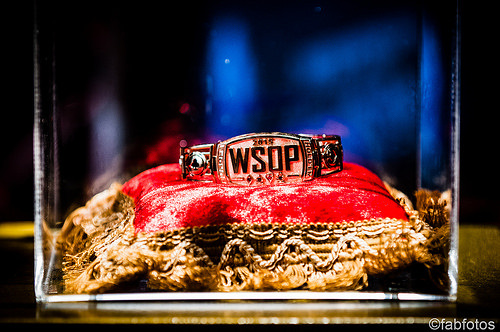 The board came and the chips, the money and the WSOPE Berlin Event #4 bracelet went Hefter's way at 3:40 a.m. Berlin time. Gilbert Diaz walks away with 109,625 Euro for his second place finish and we have our fourth WSOPE Berlin bracelet winner. 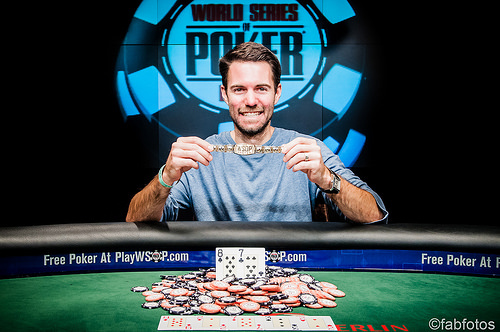 Congratulations to Ryan Hefter, the first WSOPE Berlin Monster Stack winner! The two last players of the tournament are taking a short break before they come back for the heads-up match. Play resumes with 19 minutes left in Level 33. From the button, Ryan Hefter shoves with and gets a call by Carlos Chang with . The board comes . This time, the chips go Hefter's way, and he will be facing Gilbert Diaz in the heads-up match. 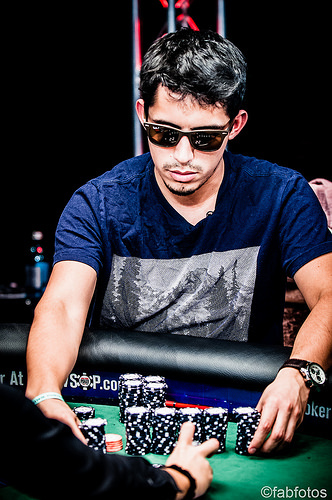 On a -flop Carlos Chang moves all-in with and Gilbert Diaz snap-calls with a flopped straight. He has . The Frenchman shouts: "OUI!" but he has not noticed that both have the same straight after the river. False alarm! It's a split pot. Half the level has gone by and Gilbert Diaz has grinded his way up to 4,100,000 in a series of small pots. No pot has been bigger than 1,300,000 in this level. No player has risked a lot chips yet this level. Hefter is the nursing the shortest stack with less than 10 big blinds, but nobody is really deep anymore with a big blind of 160,000. Over the past 30 minutes, most pots are being taken down without resistance preflop. Some flops have been seen but with no notable betting. 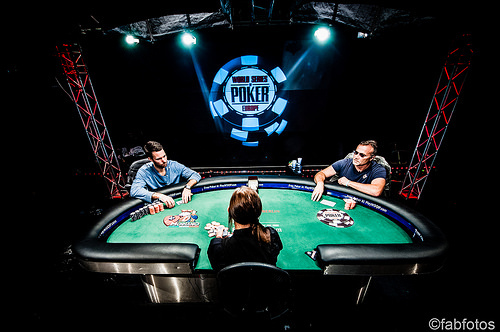 Players must be waiting for the right hand to move all-in preflop. Hefter even asked to skip the next Level that is supposed to be 80,000/160,000 - 20,000 and to go straight to 100,000/200,000 - 20,000 which is pretty unusual for such a prestigious event. In the last hand before the break, Gilbert Diaz bets 300,000 on the -board. Carlos Chang raises to 600,000 and gets a call, and the river is displayed: the . Chang decides to bet 605,000 and Diaz folds. There's no notable action as blinds and antes orbit around the with the average stack at 2,900,000. The action can be summed up rather easily. When someone opens, his two opponents fold. The next break arrives in 15 minutes. Gilbert Diaz opens from under the gun to 250,000 and gets raised all-in by Henrik Hecklen, who plays a bit less than him. Diaz makes the call with . Hecklen has . comes on the board. 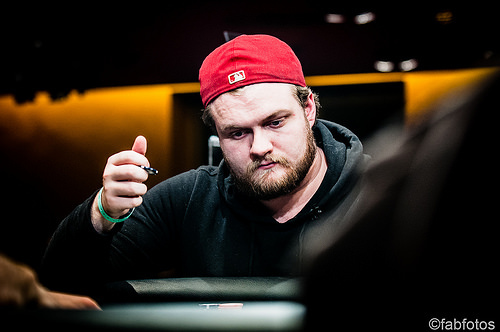 Hecklen leaves the tournament area, leaving three players behind. Gerard Serra, who is supervising the final table, is getting worried about the fact that the information sheet of the tournament does not contain more than 32 levels. He is now preparing notes for the players indicating the next levels after the break to come in 36 minutes. 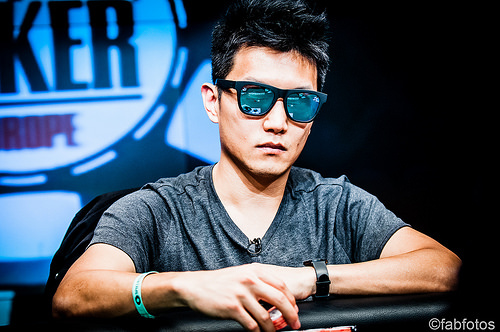 The fun never stops at this WSOPE Berlin Monster Stack! Still four-handed! The average stack is 2,176,000 with three more minutes until Level 32. Carlos Chang had worked his stack up way above the three-million mark using preflop aggression. Then he shoves under the gun and gets a call by Hefter with from the small blind with 1,500,000. Chang is now down again to 2,100,000 and Hefter rockets to 3,100,000. The stacks are getting so shallow that the chipleader changes every time there is a double up. With 670,000 left, Diego Ventura shoves from the button and Carlos Chang makes the call. Gilbert Diaz gets out of the way, leaving Chang and Ventura heads up. Chang is now up to 2,600,000 and Ventura joins the rail. 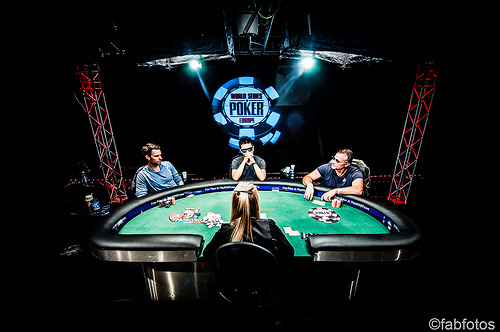 The blinds have gone around the table with almost no action since Hecklen has lost a chunk of his stack to Chang. Henrik Hecklen open shoves with and gets a call from Carlos Chang in the small blind. Chang shows . The board shows , and Chang is up to 2,400,000. Hecklen is back under two million with 1,900,000. Gilbert Diaz opens on the button, Henrik Hecklen shoves and takes the pot. Then Carlos Chang opens from under the gun, Hecklen shoves again and takes the pot.